So the children have been sent out into the wilderness. 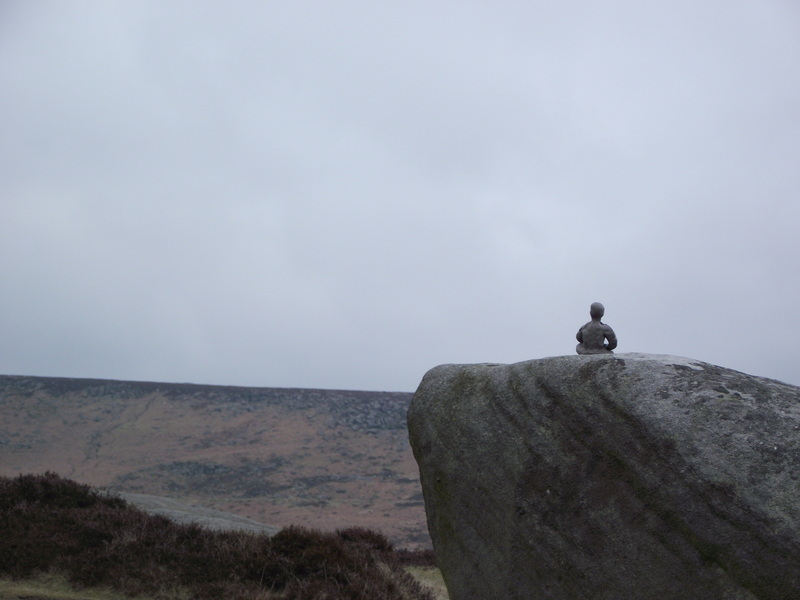 It’s been quite an adventure distributing them around Sheffield and the surrounding area – with feelings of sadness (many of them I won’t see again) and exhilaration. 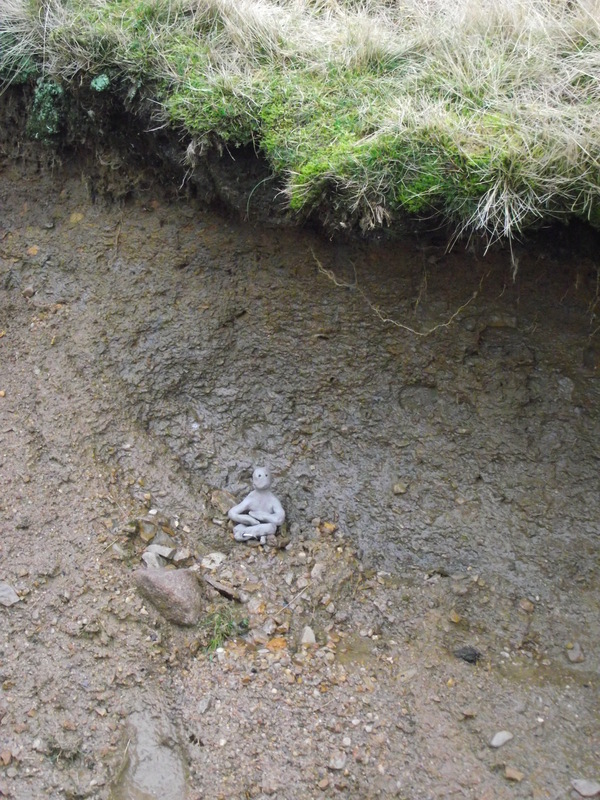 It’s also led to some interesting encounters; notably a group of pensioners walking in the Peak District in full hiking gear who were fascinated by this woefully ill-attired arty type scrambling around in the mud. 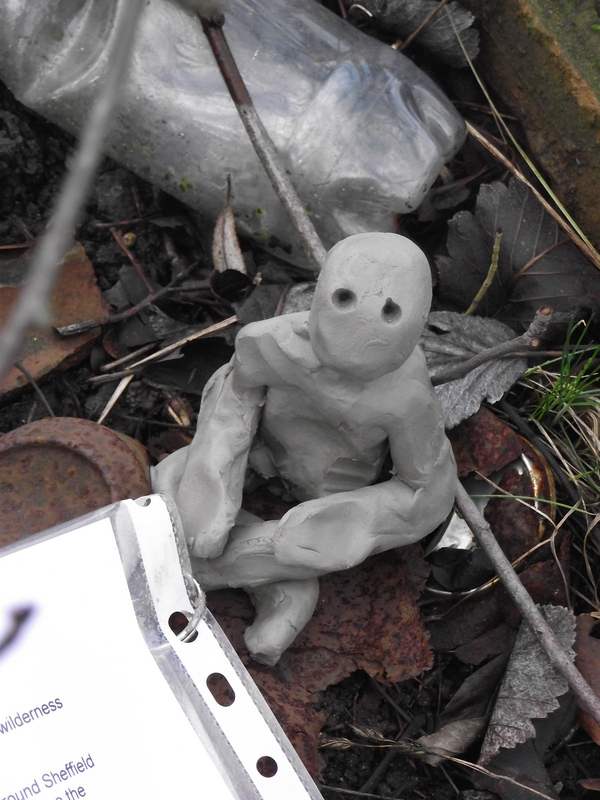 When I told them about my plan for the clay figures they were delighted and resolved to keep an eye on the one I was setting down as they walked by each week. I hope the other figures elicit the same delight when they are discovered. 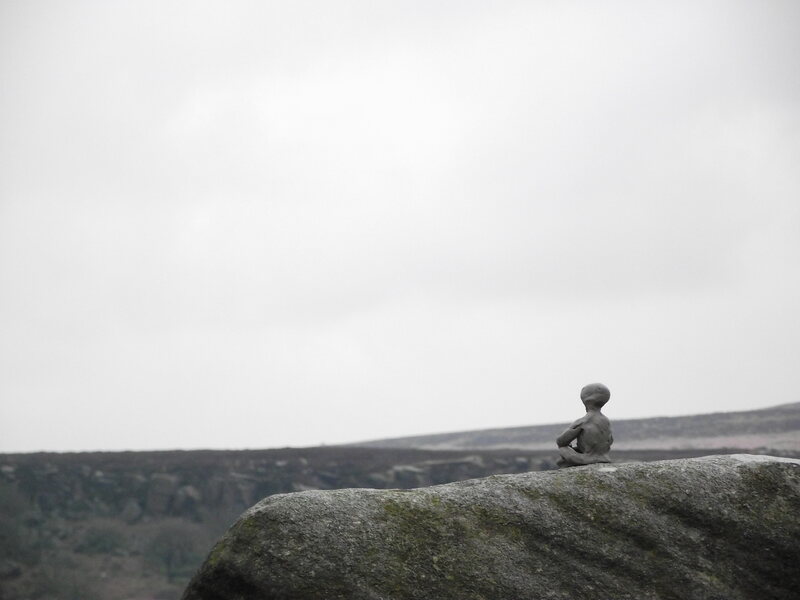 Here are photos of some of the figures I’ve sent out into the Peak District, I will post more pictures over the next few days. 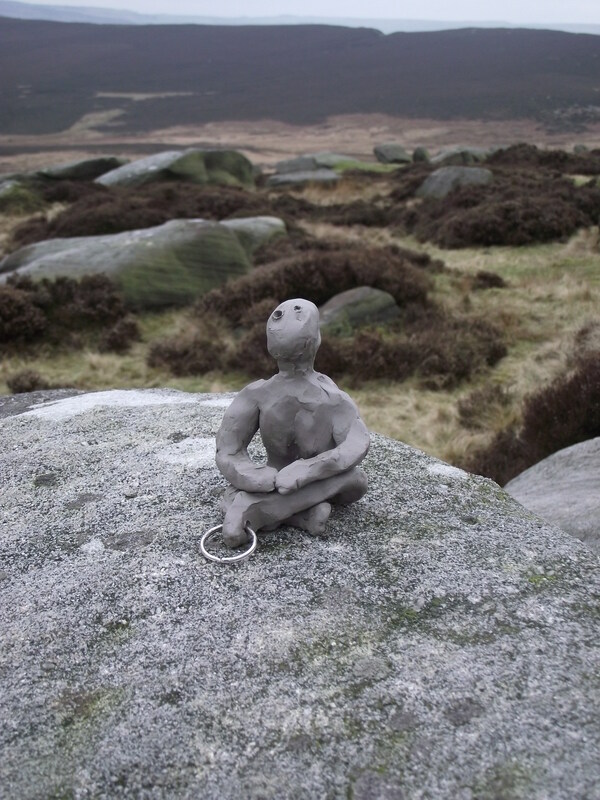 If you are near Sheffield and would like a list of the general locations of all 40 figures then drop me an email and you can see if you can find them.